Oy with the coffee already! 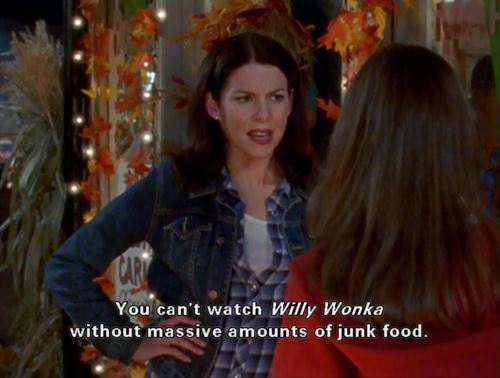 Lorelai and Rory Gilmore made their mark on television as a pair of coffee-chugging junk food lovers in the early 2000’s. As of October 1, Netflix has graced us with all seven seasons of Gilmore Girls, effectively gluing me to my laptop to rewatch the series yet another time. In honor of this momentous occasion and to celebrate the famous mother-daughter duo that inspired my love affair with all things food, here are the basic rules for anyone wishing to partake in the Gilmore diet. Your day hasn’t begun without a cup—or a pot—of joe. The Gilmore ladies drink coffee more than they drink water, because coffee gives life. Start your day with coffee. End your day with coffee. Drink coffee until it runs in your veins. COFFEE COFFEE COFFEE. But coffee isn’t the only life-giving beverage. Wine, vodka, beer; if it has alcohol in it, you should be drinking it. Rory Gilmore might not be big into drinking, but Lorelai definitely could rip some shots at Red Lion and drink you under the table. Then they would both buy you six different kinds of drunk food and tuck you into bed afterward. Why cook for yourself when you have personal chefs at your disposal? Whether it’s stealing morsels from the Independence/Dragonfly Inn, having Luke make a personal food delivery or a Friday night dinner with Richard and Emily, Gilmores don’t cook for themselves—mostly because they’ve just never needed to. It’s a rule that’s hardly ever broken, and a privilege that’s always taken advantage of. Food is necessary for your survival; protect it at all costs. Why else do you think the five-second rule is a thing? Movie nights (or any nights, really) are incomplete without a junk food buffet. Gilmore staples include some form of takeout, Red Vines, popcorn, Twinkies and Mallomars, just to name a few. If you’ve run out of snacks before the previews end, you’re doing it wrong. Shop better next time. Holidays are for eating. Seeing family and friends too, but mostly eating. 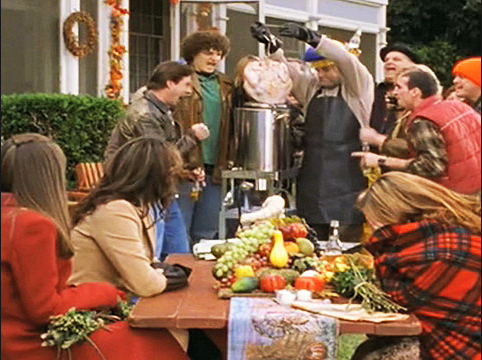 Remember that time Lorelai and Rory went to FOUR Thanksgiving dinners? Technically it was to spend time with all of their loved ones, and they struggled with their marathon meal, but they still got to eat FOUR dinners. If that’s not a holiday dream, I don’t know what is. If it’s not frozen pizza, leftover takeout or at least 91% sugar, it doesn’t belong in there. Be so in love with food, you might as well marry it. Whether it’s Chinese, Indian, Thai or a classic burger and fries, love your food as it loves you. Because food—hopefully brought to you by a friend—will always be there to comfort you. 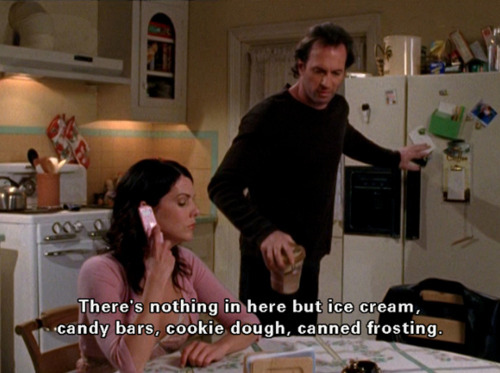 Now, go watch Gilmore Girls on Netflix.